In my work garbage can are 5 wrappers for big Chocolate Covered Marshmallows. I love marshmallow – I really do. I love how it squishes in my teeth. I love the chewiness. I love it when it’s covered in chocolate. What I am wondering is why did it take 5 for me to feel like I had had enough? I think I was only giving myself pseudo permission to have them at all. Afterall – it is just sugar and I know how it will make me feel. First it’s the flavor rush. The sweetness. The divine ecstasy as the flavor and sugar jolt hit my bloodstream at that same instance. Ahhh . . . sweet oblivion for the next 15 seconds. Yes I know what it’s like to have that sugary deliciousness. And I want it – now. But I shouldn’t! After the rush is the feeling like crap. It’s the sugar-low. It’s the shame. I’m trying to be more mindful with my food. I said to myself I could have one – and I did. I ate it slowly and mindfully. But I believe the Farc (the mental voice that is like a Narc only with food) was talking to me. Interestingly the Farc talks in a low quiet voice. It’s not comforting soft voice, but more the type of voice women use when they are talking smack about a mutual acquaintance that is just out of listening distance. Anyway, the first thing that Farc whispers is “you shouldn’t” followed by “why don’t you look up the weight watchers points or the calories for each one?” I think about that — but I know if I do look up the calories or the points I will still eat it – perhaps the whole bag (so they will be gone,) I will just have the points values to go with them. Hmmm how many shame-points are in a big chocolate covered marshmallow? So I remind myself that I am in charge and that if I want a marshmallow I will give myself permission. So I have one. I eat it fairly slowly and I taste it. I enjoy it. Then Farc says, in barely a whisper, “you know you will eat more because you just flipped the sugar-craving-switch.” Farc wasn’t being helpful like the voice of Wisdom, would have been, had she said the same thing. Farc was mocking me in that knowing way. Wisdom does win out for a bit and I wait awhile. But I want another one. Farc says “see you are weak and fat and always will be.” I have another one. I try eating it slowly – but less mindfully than the first one. I feel like I’m sneaking them, although I’m alone and there is no one to hide from. Farc gets louder and throws down the flag and shouts “what the hell . . .” I eat another, and another, and another. Finally on the 5th one I ask myself — is this the one that I’m going to really allow myself to have – completely and without judgement? I decide that yes — it is. I will eat that ONE. It’s mine and I can HAVE it. As I take the last bite I realize that it really is enough. Farc takes a shot at my worth with “you know everyone can see how fat you are.” I try to ignore it. Then I choose to ignore it. I think to myself “what can I learn from these marshmallows.” I start to question. Why was one not enough? I realize I gave myself “permission” for the first one. But I felt like I was sneaking, cheating, and rebelling. I said I could have it but I ate it with shame and not joy. I realize that even giving myself “permission” to eat puts my mind in a position that makes me feel like a whiny child and that my mother just gave in so I would stop whining. What if I really felt like I was choosing to eat it because I really just wanted it? Would one have been enough? Maybe not. But isn’t that okay? Would I have eaten five? Maybe. Maybe not. Wisdom would have said “perhaps you should have some cheese or some milk with that so you don’t feel gross in a half hour.” (Narc would have piped up “you know that is only more calories.”) But Wisdom knows better. Wisdom doesn’t judge. Wisdom only cares about my total well-being. I didn’t bring Tommy up to my mom anymore. Eventually Tommy left . . . or so I thought! The interesting thing about “the voice” is that at times it seems to be helpful. Like it wants to protect me from future disappointments. But in reality — it’s just trouble! That’s when I realized that it must be Tommy! The critical and unforgiving messages that come to my mind can be unrelenting. But it’s time I stood firm and talked back with confidence and belief in who am and who I can be. Over 40 years ago my mom asked me to give you a message . . .
A little over a week ago I had an appointment with my doctor. Because weight does have an effect on medical issues it doesn’t surprise me that the topic of my weight comes up. I expect that my doctor will be honest with me so I expect this. But during this appointment it ended up being a non-helpful discussion where I felt patronized and dismissed. After thinking about it a few days. I decided to write a letter to express how I felt. I haven’t decided whether to send it or not. But it felt good to write. I was in your office last week for my annual exam and to have a prescription filled. After the exam, the topic turned to my weight. I expected as much and was prepared to share with you things I’ve been working on. In the last 6 months I have been working hard to change some behaviors and thought patterns in order to lay a foundation for some life long changes to my body and health. Unfortunately I left your office feeling dismissed and shamed. After I have thought it about it for a few days I wanted to write and express my feelings about the interaction. I am completely aware of the effect the weight has on my health. This has caused me a lot of anxiety, guilt, and shame over the years. For overweight individuals, going to the doctor often increases this anxiety as the first thing we do as we walk into the office is get weighed — and as it seems often our character is what is weighed next. After all – why don’t us fat women just “take care of ourselves” or simply do what our doctors tell us to do? It isn’t that we don’t want to. Because we do. We want it badly. We have spent thousands of dollars and uncountable hours trying to do just that. We have set goals, made charts, lists, calculated weight to be lost, prayed fervently, and talked endlessly with our friends and loved ones about our weight and what we are doing to fix it. We have attended meetings, logged meals, calories, and points. We have been exhilarated when the number on the scale goes down – even a little bit. We have been devastated when we have given our best efforts and that number didn’t go down. The truth is — the issue of our weight is foremost on our minds every single day. Either we are starting “another plan” or we are feeling guilty because we aren’t. As I exited the exam room you gave me list of “good foods” and “bad foods” and your advice was to “simply not bring “bad foods” into the house.” I could have saved a co-pay and got the exact same advice from the latest copy of any women’s magazine in the grocery store check out. But most importantly — I already know what is on the list. I dare say most overweight women do. We understand the science of “calories-in calories out.” And if it really is as simple as that, then why is the obesity rate growing at the same time the diet industry is booming? And why is it so hard for us to do what is good for our bodies? There are many reasons. Too many to go into here. There are physical reasons as well as psychological and emotional reasons. But what I want you to know is that your approach is not helpful. Shame is a very poor motivator. In fact, for me, shame is a trigger to overeat. I know you care about your patients health but it’s important for you to realize that our obesity has much more to do with what is going on in our souls than it does our body. Please be gentle with these souls. Instead of handing your patients a food list or a referral to a bariatric surgeon, and reinforcing their feelings of failure, let them know there is hope. Not hope that they will see a certain number on a scale – but hope that they can have healthy body, mind, and spirit. By all means, you should let your patients know the effect extra weight can have. I would expect you to say “your weight is affecting your condition of XYZ.” That’s just a fact and not a moral judgement. What I am suggesting is how you approach your patients in what to do about it. There are therapist who specialize in emotional and disordered eating. There are books on making peace with food and how to be mindful and actually love and enjoy all kinds of foods. Foods that have no moral label of “good” and “bad”. Research them yourself and recommend them. Give your patients hope that there is physical movement they can enjoy instead of just finding “some kind of exercise you can stand”, as you said to me. Let them know that they can get in touch with their body and it will let them know what foods give them energy and what foods make them feel gross. Let them know that they are in charge! Not a list, a plan, a diet, or even you — they are. I think if you made a shift in how they talk to your patients about weight that you may just be surprised to see their weight drop and their overall health improve. Understanding and acceptance, along with your medical expertise, just may be the catalyst for real change for someone. Memoirs or is it “Mem-Wires”? Perhaps “Mem-Wah”? A few years ago I bought the audio book Old Friends From Far Away by Natalie Goldberg. I had previously read her book Writing Down the Bones and I loved her writing style and her philosophy on writing and thought this would be a great follow up book. Most importantly I found it on sale for 2-bucks. As soon as I heard her voice on the CD, I was transfixed and I decided immediately that I needed to write my memoirs. Only I didn’t! The more I thought about it I decided I didn’t want to write my “mem-wires” (like I had always heard it pronounced) I wanted to write my “mem-wah’s”. This is how Natalie pronounced it and it seemed to fit me somehow. It may be that is really the way it’s pronounced and all the smart intellectual people really do say “mem-wah’s” when they write their memoirs. But I still like it. I think I like the way it sounds when I say it because I imagine myself wearing glasses slid down on my nose, sipping hot cocoa, typing, and then saying in my most stuffy and sophisticated voice “can you keep the noise down I’m writing my ‘mem-wah’s’.” Then laughing hysterically because being sophisticated and proper is something I don’t think I’ve ever done with a straight face. So I shall begin. I commit to write my life memories. And I commit to write them in no particular order. And the facts? Well they are my facts – just as I remember them. And I just may fill in the blanks. Perhaps I shall write about my mothers black shoes – and it just may be that they were blue. But in my mind they are black, shiny, and have a pointy toe. They seemed to have a 3-inch heel. But I was 5 when I put them on and walked around the house, and they seemed to be 3-inches high to me then. In reality they were probably 1- inch. But that’s the thing about “mem-wah’s”. They are my stories and I can tell them any way I want. And the shoes — they really were black. Sometimes it’s hard to let go of a toxic relationship. It’s damaging but there is still this part that says “If I can just do things right this time it will work.” I have been in one of these relationships for a long long time. Things always fall apart and yet somehow I have believed that if I could just try harder and be better things would work out “this time.” I have written and prayed and toiled over this relationship for years and finally – I have done it. 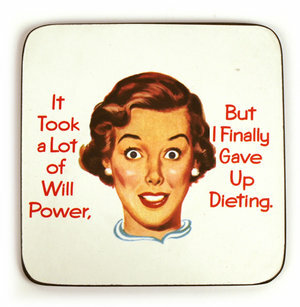 I have broken up with dieting. When I became serious about it – really serious about letting go of the need to have a plan, points, charts, logs and someone else dictate what, when and how much was the appropriate things to eat – a new adventure started to open up. And honestly – it’s a bit scary. It’s frightening to give myself 100% trust that I am capable of feeding and caring for myself in a loving and nurturing way. It’s especially scary when I have been a very emotional eater, and because of that, believed that I was not deserving of my own trust. After all I have let myself down a bazillion times. But I know this is the way for me. The way for me is to eat intuitively – what my body needs. And to eat mindfully and be fully present. As I have started to believe these things of myself I am noticing a shift in my thinking. I ask myself more questions such as “Am I hungry?” or “where do I feel my hunger?” If I’m not feeling the hunger in my stomach – something else is going on. I’ve also had to really address the emotional eating piece – really address it. Head on! I thought for a long time I could do this by myself or by reading a book – but I needed help. I found a great therapist who specializes in emotional eating. I will confess — it’s been hard. I have messed up. But I’ve also learned to forgive myself and move on. I’ve been frustrated because I’ve been conditioned that I “could lose 2 pounds per week” if I stayed on some kind of plan. So it’s been slow. But things are shifting and I’m feeling stronger and empowered. I’ve learned that it’s just as empowering to feed yourself properly when you are hungry as it is to not eat when you just want to escape. I’ve learned what it feels like to be satisfied. I’ve learned how delicious something is when I take the time to really be present when I’m eating. I’m also learning that I’m worth my own time and that I deserve to feel amazing after I workout. And I’ve learned that it’s okay to want that hot fudge sundae and then to discern whether I really want it – or I just want to be able to want it. Now that I’ve broken the silence regarding my break up. I’m going to be writing more about it. I feel like I’m on this amazing journey to myself. “She packed her potential and all she had learned, grabbed a cute pair of shoes and headed out to change a few things." I fuel my body with foods that allow my body to function optimally. I savor and enjoy the foods I eat. I exercise my body daily and enjoy the strength, release, and personal time it gives me. I trust myself and the Lord to do what is best for me. I proactively think positive, kind, and loving thoughts about myself and others. I consciously let go of critical thoughts. I spend time every day in prayer and stillness - allowing for my brain to work things out and the Lord to fill my mind with inspiration. Memoirs or is it "Mem-Wires"? Perhaps "Mem-Wah"?